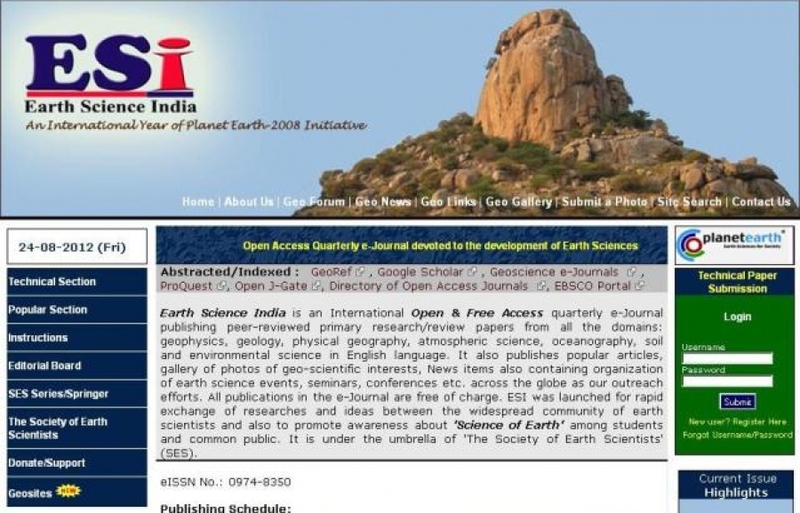 Earth Science India is an International Open & Free Access quarterly e-Journal publishing peer-reviewed primary research/review papers from all the domains: geophysics, geology, physical geography, atmospheric science, oceanography, soil and environmental science in English language. It also publishes popular articles, gallery of photos of geo-scientific interests, News items also containing organization of earth science events, seminars, conferences etc. across the globe as our outreach efforts. All publications in the e-Journal are free of charge. ESI was launched for rapid exchange of researches and ideas between the widespread community of earth scientists and also to promote awareness about ‘Science of Earth’ among students and common public. It is under the umbrella of ‘The Society of Earth Scientists’ (SES). 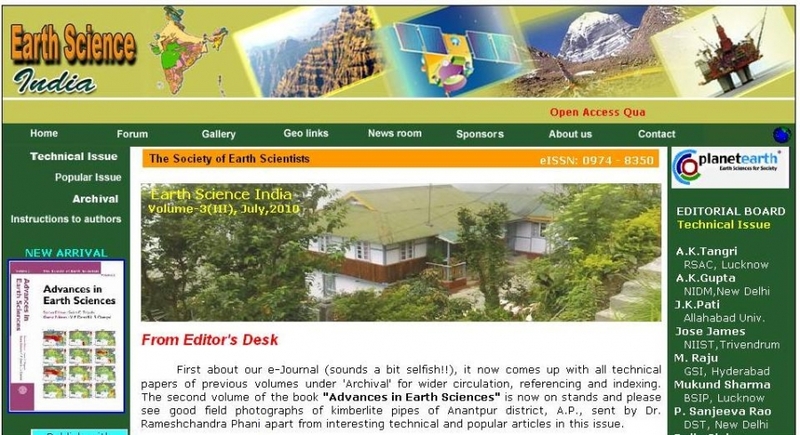 For Paper submission: Please visit http://www.earthscienceindia.info/authors.php to see the Instructions to authors for submission of papers in Earth Science India. 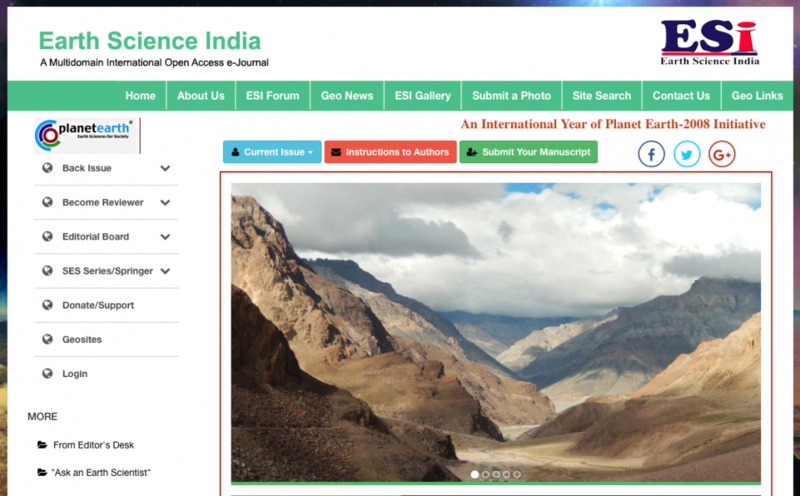 Description: e-Journal Earth Science India launched in January, 2008 and was in the above format till October, 2010. The launch from India during IYPe-2008 was acclaimed world over. Description: Since Year 2011, the Earth Science India is coming up in a new International format with added new chapters addressing the need of students and scientists. Description: The Earth Science India is coming up in a new International format with added new chapters addressing the need of students and scientists.